Thank you for purging FOAM Map from the evils of incomplete phone numbers and imperfect tags! Sometimes you make small mistakes, but token balances clearly show - you’re on the right track. Now is not the time to rest on laurels though. There is still 250K of FOAM locked in 400+ POIs of dubious quality. All those tokens are begging for you to come and liberate them! Salty! I love it. If nothing else, Ryan and the team are learning a lot about the incentives. The Top Address just knocked down @Zyndar , our previous all-time top Map Rewards just by voting this month alone. Congratulations! If you’re nitpicking small details and winning on those challenges, you ought to be restaking the POIs with the correct details afterwards. Otherwise, you might be removing 95% correct info for 5% incorrect info, and actually netting less quality info on the map. “Ought to”? By what standard? Certainly not by the standards of the code. There are zero incentives that provide for this. There are such a thing as implicit incentives, for wanting a high quantity and quality of information on the map so that it is most useful. I would like to see this at least experimentally explicitly designed into the parameters or rules of the map, but I have not heard anything about this from the FOAM team. Agree. The issue is that there will always be people looking to take advantage–it only takes one ‘bad actor’–so there must be hard-coded incentives. 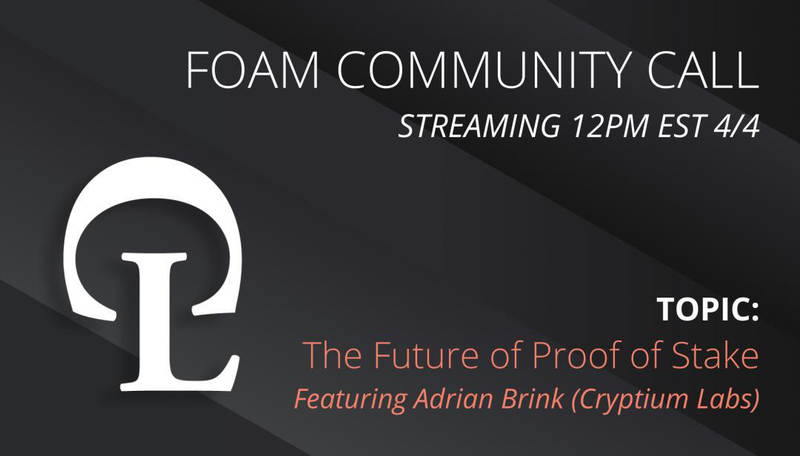 Agree that we are waiting on the FOAM team for that. “Ought to”? By what standard? Certainly not by the standards of the code. The issue is that there will always be people looking to take advantage–it only takes one ‘bad actor’–so there must be hard-coded incentives. I will argue that the standard need not be handed down on stone tablets, and the incentives, indeed, are already in place. “One bad actor” can only take as much advantage as the rest of the community allows. Need I remind that voting against the challenge is in no way less rewarding than voting with the challenge? One only needs to be on the winning side of the vote to get the share of the challenged stake, which is equal on both sides of the challenge. So the incentive is there. The standards of any communal activity (like FOAM Map) are set by its community of practice. They can never be encoded to sufficient detail, whether in form of protocol or legal codex. Failing protocol is akin to failing state, where population’s apathy enables criminals and corrupted politicians to grab increasingly larger shares of nation’s wealth and power. Inevitably it collapses and loses to competing states. I meant that there must be coded incentives to re-add points that have been removed. I was responding to @nameloceroom saying that “you ought to be restaking the POIs with the correct details afterwards.” Perhaps that is true, but currently there is no real incentive to do so. I’m fully aware that there are incentives to vote. I realize that everyone hates me here always “FUDing” but so it goes. I think it’s important to make these points even if they are being misconstrued. Hey @Ryan_foam. In terms of rewarding the staking of POIs, this is something that I am less concerned about than other community members at this time. Based on the data that I have seen, POIs are continuously being added incremental of Proof of Use requirements. Based on a simple valuation model that I created, I actually think the long term implicit and explicit rewards for staking POIs is much higher than people have speculated thus far, which I am planning on sharing with the discourse community soon. 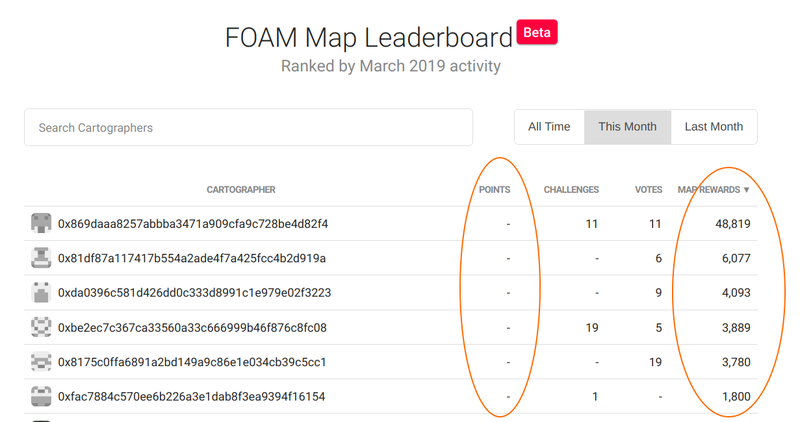 FOAM token holders that are active on the map fall into 2 distinct camps: those creating POIs and those challenging POIs. The division is very much apparent in the leaderboard: as a rule, accounts with many challenges and rewards have few POIs created, and, vice versa, active mappers are often in the negative balances. I first just want to add that it is not inherently bad to see a division in users, in fact this may very well point to the FOAM Map working as intended. In situations such as these, where we can point to a specific issue in the TCR, I think implicit incentives to have a successful map need to be codified into explicit parameters and rules. After all, isn’t blockchain all about incentivizing and codifying systems to behave certain ways rather than trusting the implicit motives of strangers? Maybe as a resolution to this, after a POI is invalidated, the challenger has their winnings locked up, becomes the owner of the POI and has x amount of time to correct the POI and have it validated. If that time passes without it being corrected and validated, they forfeit their winnings, the POI becomes open to anyone to correct, and whoever gets it through gets the winnings. The protocol could limit challenges based on account’s contributions to the map. Have no POIs of your own? Can’t challenge. Have only a few low-stake POIs? Can only challenge up to a similar stake amount. Have you at all considered quadratic voting for resolving challenges? I realize it would require more progress in decentralized identity. I really hate to see quality info lost from the map because of flawed incentives. Thanks for this post @nameloceroom ! Great to see this collection of proposals, it is the seed of a working specification of an updated registry model, along with other great suggestions also posted here. In terms of rewarding the staking of POIs, this is something that I am less concerned about than other community members at this time. Based on the data that I have seen, POIs are continuously being added incremental of Proof of Use requirements. Based on a simple valuation model that I created, I actually think the long term implicit and explicit rewards for staking POIs is much higher than people have speculated thus far, which I am planning on sharing with the discourse community soon. Interesting point of view. Looking forward to seeing the data you are collecting, let us know if you need any assistance with accessing data directly from the API. I tend to agree with this sentiment, and think long term incremental additions will build into network effects of applications as opposed to sporadic spikes of activity from pure promotion. Of course reducing user friction, like a starter pack for new users to be on-boarded will certainly help. One upside to note on this, is that while these points are no longer on the registry, _the points and their metadata still technically exist on the Map and on the blockchain by this I mean, when a point loses a challenges is loses the status of being verified and on the registry, but the data about this point is still on Ethereum, and that is immutable and permanently there. Further, the point exists on the “removed” point layer, which you can turn on from the list card functions to see old points no longger on the the registry, but still on the map and blockchain. So, this data is not lost. But great point! How do we make sure that Cartographers re-add legitimate points that were wrongfully challenged and removed from the registry back to a Verified status. I am not going to dive into your suggestions one by one just yet, but I think they are all great and hopefully opens the discussion further for this thread! I would also like to open for discussion what are preferred means for contributors here to further collaborate on a specification of smart contract upgrades? A workshop call etc? Additionally, can think more of means to organize efforts of restoring points to verified and or creating centralized rewards for restoring, thoughts? 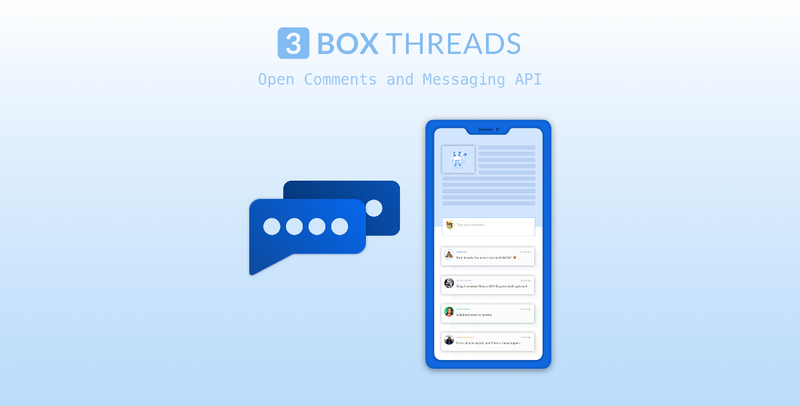 3Box released profile integrations right at the time of our leaderboard beta and has now released decentralized comments, great synergy! Glad to hear that those suggestions are being saved off. On this note, I’d be happy to host/assist in hosting/participate in a monthly or quarterly call to gather and discuss community-proposed specifications for future smart contract upgrades. It seems like discourse is a great breeding ground for new ideas, but it might help having a more synchronous and high-bandwidth discussion to discuss them over the phone once every so often. This is something that I will think about. How do we make sure that Cartographers re-add legitimate points that were wrongfully challenged and removed from the registry back to a Verified status. From what I saw on OpenStreetMap, the POI does sit within the “complex” (red). It’s just sitting in the parking lot area (blue), instead of in the precise area on the FOAM Map that has the default label for the ‘Zollverein Coal Mine Industrial Complex’, which may be the source of confusion for the challenger. It’s unfortunate seeing these points go, even if temporary, and I truly believe it has to do with unoptimized TCR parameters, that result in unbalanced power dynamics between POI creators and challengers. Great to hear about the Rhombus Network and Enigma collaboration, and 3Box commenting. Keep up all the great work you guys are doing. after a POI is invalidated, the challenger has their winnings locked up, becomes the owner of the POI and has x amount of time to correct the POI and have it validated. If that time passes without it being corrected and validated, they forfeit their winnings, the POI becomes open to anyone to correct, and whoever gets it through gets the winnings. I think it makes it simpler, more transparent and removes opportunity to betray voters’ trust. Effectively, we would be voting not against defects, but for improvements. This limitation is trivial to sibyl around. Challenger only needs to transfer tokens to another account and can vote at will. This would have unwanted effect of inhibiting all curation, including beneficial. When communication channel is both cheap and permissionless, it is vulnerable to spammers. So it must not be cheap, in which case I don’t expect it to be popular. No problem. Create POIs just to satisfy the requirement, then withdraw tokens as soon as possible and profit. Not too familiar with all its implications, but as you point out yourself, it doesn’t seem to have any sibyl resistance. Vote from 100 accounts and keep your voting costs linear instead of exponential.